I remember when my mom, or dad, would say, “Don’t do that. You are going to get hurt!” Most of the time they were right, and sometimes I even listened to them. But as we get older and leave that wonderful place called home, mom and dad are not always there watching us and warning us of those dangers that lie ahead. We had to learn when to stop, and which path to take. Most of the time I did pretty well, but on occasion, I pushed the limits and paid the price. As I look back on my life, many of the most important lessons I’ve learned in life have come from slight errors in judgment. I made choices on impulse and did not listen to that inner voice that we all have. Rash decisions sometimes resulted in awkward situations. I wish I could say that I always make the right decisions, but I don’t. That’s just part of being human. What we hopefully learn as we get older is how wise it is to listen to our intuition, tap into that small voice in our heads, and let it help guide our decisions. It’s also important to remember that mistakes and missed turns often are some of our greatest teachers. 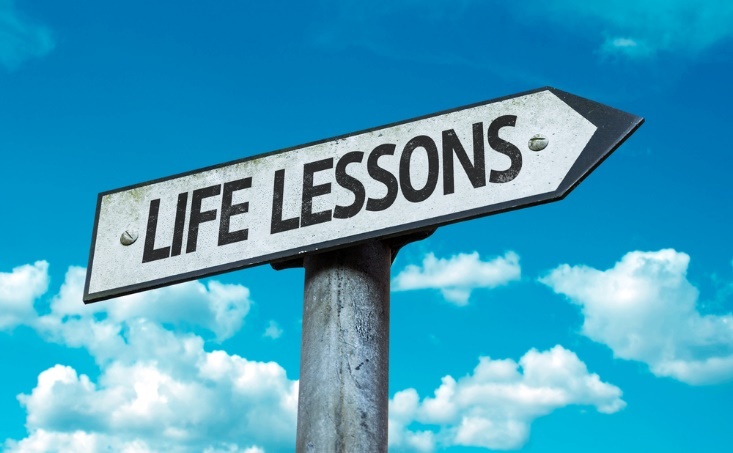 Life’s always teaching us – it’s our job to look for the lessons. I now understand my parents’ point of view much more clearly. It is easier to STOP before you fall, and usually a lot less painful! Call your mom, your dad or that person in your life who helped guide you early on. Thank them for their guidance and their love.